Telematics can often get a bad rep – from being too expensive to being like ‘Big Brother’. In this article we will take a closer look at some of the biggest telematics misconceptions. First misconception: All telematics technologies are the same. 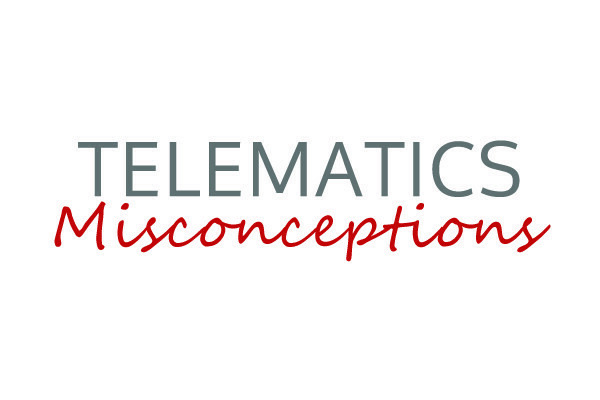 The truth: There is a huge difference between telematics providers. If you do your research, you’ll see there are a ton of choices when it comes to different software, hardware, features available, reports, alerts, dashboards, and more. Second misconception: Cheaper is better. The truth: If you find a solution to fit your specific business needs and goals, you will gain a better ROI. Better telematics software is often more expensive for a reason – more functionality and features, reliability, top notch customer service, making for a long-term valued business partner – NOT just the basic software and hardware. Bottom line: price should not be the driving factor in your final decision. Third misconception: Telematics is too expensive. The truth: It’s no secret that the initial up front investment in telematics can be expensive, however, when used correctly, telematics can help a fleet save significantly more that the first initial cost. When speaking with different providers, make sure to take a look initial investment and have them show you how you’ll save more than that. Telematics is only costly when you are not getting a ROI. Fourth misconception: All telematics solutions are scalable & will adapt to your growing business. The truth: Unfortunately, not every solution is scalable. Fleets will often grow out of some providers because of their limited functionality. It’s important to find out about the scalability of a telematics solution when looking at different providers. Make sure they have all the capabilities you are looking for right now, as well as many other features and add-ons that will allow the solution to grow along with your business. Fifth misconception: Using telematics will make your drivers angry. The truth: This is probably by far the most common misconception, and unfortunately yes, some drivers may have an issue with telematics. However, most of your drivers want to do a good job and make your company money, and the right telemaatics solution will only help them do an even better job. And the small percentage of drivers who do have an issue with it? Well, in our experience, they’re the ones who are doing something wrong and don’t want you to know about it.